On 25 May, the European Council agreed to a negotiating position on the draft copyright directive. This will allow the presidency of the Council to start negotiations with the European Parliament on mass monitoring and filtering of internet uploads and a chaotic new “ancillary copyright” measure that will make it harder to link to and quote news sources. Now it is the turn of the European Parliament to adopt its negotiating position. The Legal Affairs committee of the European Parliament (JURI) is voting on 20 and 21 June to agree on their standpoint. There is still time to act to prevent the most dangerous parts of the proposal. 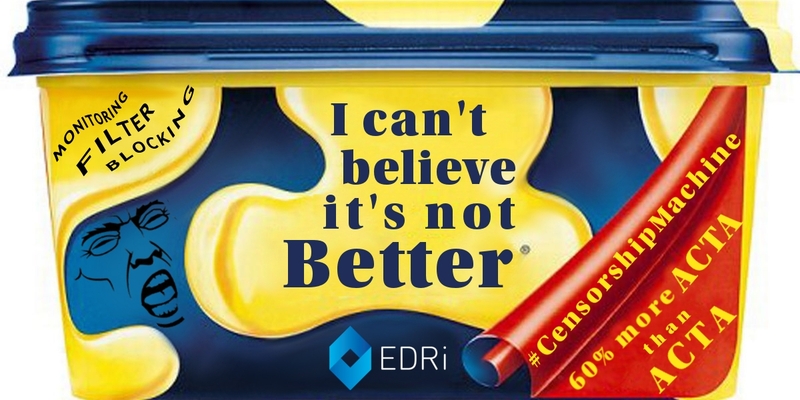 In the table below and here, you can find the mapping prepared by the MEP Julia Reda on where political parties in the EP stand regarding both the snippet tax and the censorship machine proposals. Due to the relative size of the groups and the splits in some of them, the balance is in favour of these measures, so there is a realistic danger that these policies can become law. What can you do to save your internet? 1. Go to saveyourinternet.eu to access free resources to send a tweet, write an email or call your MEPs and tell them why you don’t like the proposals. This page provides strong arguments and some sample texts for you to use, if you need them. 2. Organise “Call your MEP” sessions with friends, co-workers and activists. Do you need help to organise a calling session ? We prepared guides for organisers and we are ready to answer any questions you might have. Get in touch at andreea.belu(at)edri.org for more info. There are a few weeks left, we need to act now!